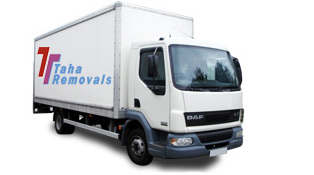 Taha House Moving London offer top quality house and office removals and hourly Man and Van London services. We can handle all types of packing, loading, transportation, unloading and unpacking of your belongings. It is our main expertise. Our competent staff is able to handle every heavy machinery and fragile material. No other Man and Van London Removals Company can provide the office relocation services like we do. Our removal packing services are low priced, but best quality. Our packers are well trained and they know how to work smoothly and efficiently. We can handle every type of expensive crystals and heavy furniture. We provide exclusive piano removal services for our special clients who possess large and expensive pianos. You hire us and we deliver your piano at new address in its original state. Helpers-Porters service without needing a van. Moving items within house or same building Moving helpers, porters only service. We provide customized , most comprehensive Hourly Removals Man and Van removal services in London. Our main objective is to provide competent man with van within your budget. 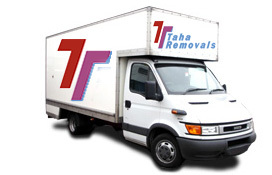 I hired Taha Removals because of their Furniture Removal and packaging ability. 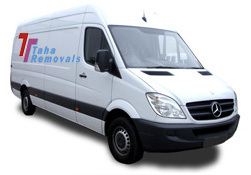 TAHA man and van London service is best in heavy furniture removal with dismantling and reassembling services. They are amazing and I will surely recommend them to other people. While searching for an affordable Removal Company one of my friends recommended man and van Removals they can be hired £35 per hour I found man and van London most reliable and affordable service ever. When moving in London I hired Taha Removals top quality Only Hourly Charge Removals Man and Van for Greater London. They were stupendous and did a great job. I used Taha man with a van london removal services, it was really affordable and reliable and they charged the lowest price for my house removal Without any extra and hidden charges Hourly Man and Van Service. Highly recommended. I booked Taha Man with van Croydon, London office removals. They handled all fragile material and machinery quite professionally. I would recommend them to all others who want removal service. I had an amazing experience with Taha Removals Man with a van Surrey because they did all tasks smoothly that I did not have to worry at all. 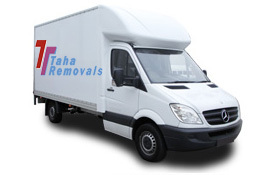 I hired Taha Removals Man and Van London for my house relocation. They were punctual and honest. I will definitely call them again for their removal services because this company save me a lot of time and money.